The Senior Class of 2019 will have its graduation ceremony on Saturday, May 18 at 10:30 a.m. in the cafetorium. The K3, K4, and Kindergarten classes will enjoy Muffins with Mom on Friday, May 10, in their classrooms from 8:00 - 8:30 a.m. The junior/senior prom will take place on Saturday, May 4. The location will be revealed on the invitations when they go out. 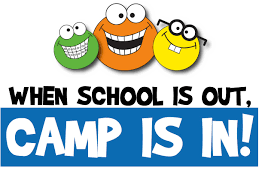 Registration for Summer Camps is open; camps fill up on first-come, first-served basis. Office hours are Monday – Friday, 8:00 a.m. – 4:00 p.m. Questions? Contact Beth Pegram at 252-431-1333 or bpegram@ccscolts.org. FACTS is the nation’s leading provider of tuition management, grant and aid assessment and school payment processing for private and faith-based schools. Enrolling in a FACTS tuition payment plan allows you to select a payment option that best suits your financial needs. Go to the Crossroads FACTS page for information and guidelines about our plans. In addition to our CCS shirts in the school store, students may purchase from our Land’s End approved selections (visit our customized Land’s End school page to order). For more ways to order via mobile apps, phone, in-store, and online, check out these instructions.